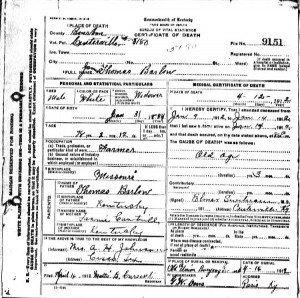 I want an obituary or a death certificate for my grandmother who died January 7th 1903. Can you help me? This is a very frequent request as obituary information is very helpful to family historians/genealogists as they are conducting research and creating and verifying family ties. Unfortunately, it is a request that is many times difficult to fulfill. Kentucky did not require its counties to register births and deaths until 1911 and did not require marriage registrations until 1958. There was a short period in 1852 when statewide registration was first enacted but Kentucky’s compliance was sporadic. This early requirement lasted only ten years with some births and deaths being recorded for 1852-1862, 1874-79, 1892–1910. Some larger cities such as Louisville, Covington, Lexington and Newport maintained registered births and deaths for the years 1890–1911 in their respective health departments. See Jeffery M. Duff’s Inventory of Kentucky Birth, Marriage and Death Records, 1852–1910 for county holdings. At the Kentucky Library and Museum, we hold microfilmed copies of death certificates from 1911 to 1959. These certificates become public records after 50 years. 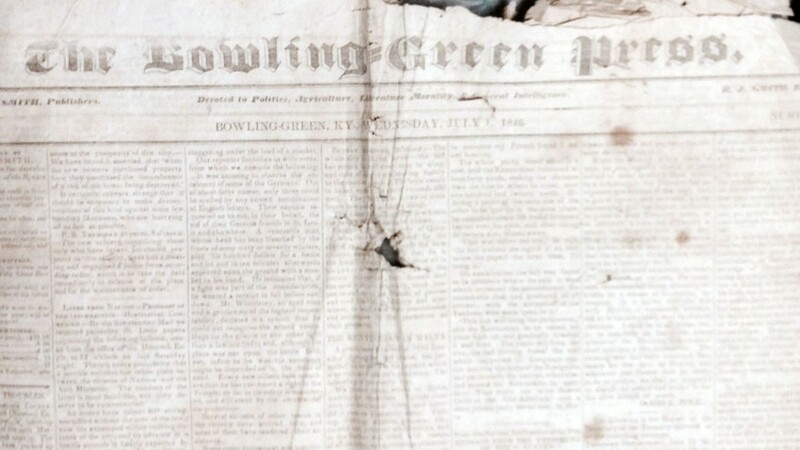 Sources for online newspapers with obituaries include Chronicling America: Historic American Newspapers. 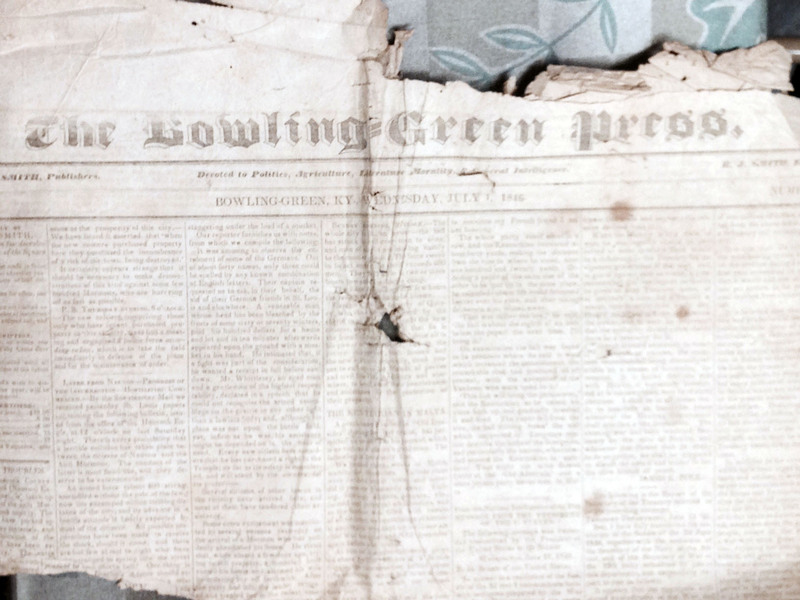 This site allows you to search and view select newspaper pages from 1860-1922 at http://chroniclingamerica.loc.gov/ The Kentucky Library and Museum also has access to the Historical New York Times (1851-2006), the Historical Los Angeles Times (1811-1986), the Times Digital Archives (1785–1985) and for the local area, the Park City Daily News archive (1999-to present). Please contact klmref@wku.edu for further information.